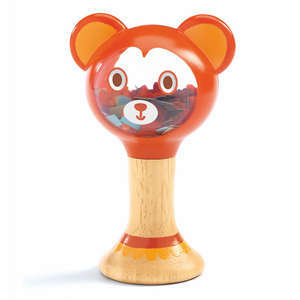 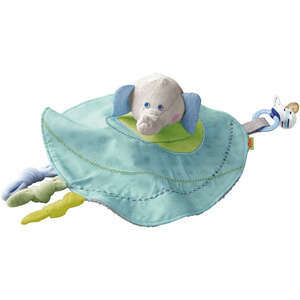 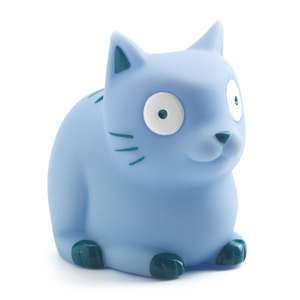 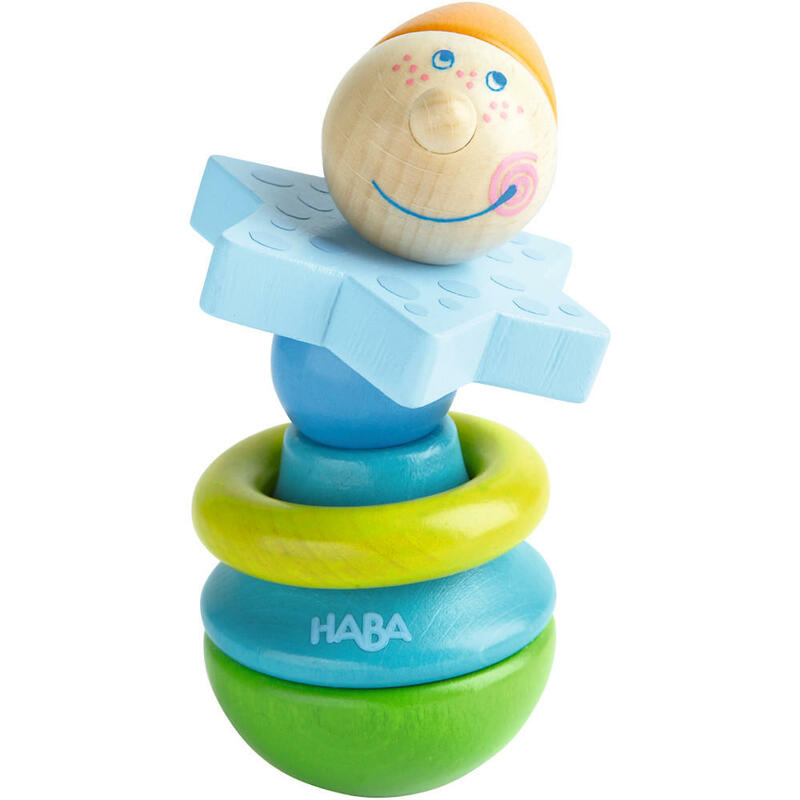 Monsieur is a charming wooden rattle and first baby toy. 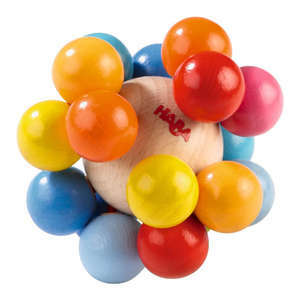 This cheeky little clown is perfectly sized for small hands and can be twisted, pulled, balanced and rattled. 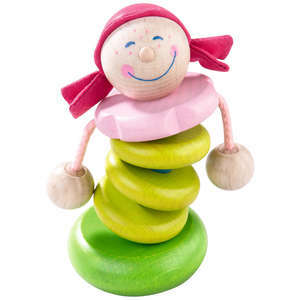 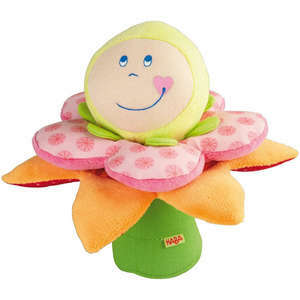 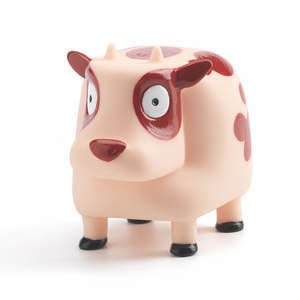 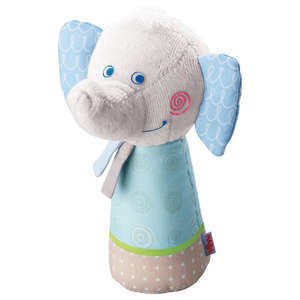 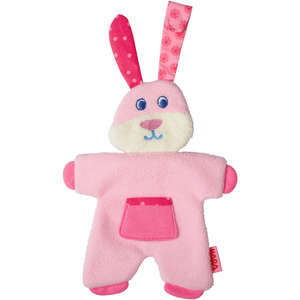 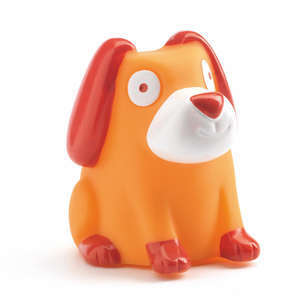 The colourful pieces are held together by a strong elastic cord and a loose ring rattles when you shake him about. 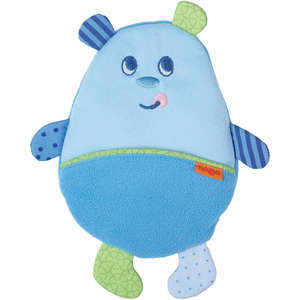 Monsieur has many parts that can be twisted and turned and his upper body has a flexible feel to it thanks to the stretchy cord. 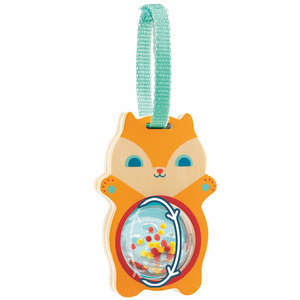 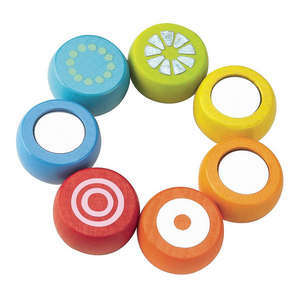 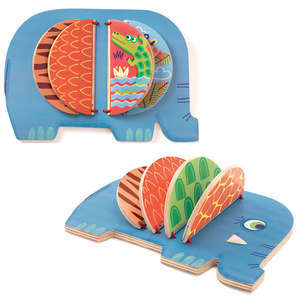 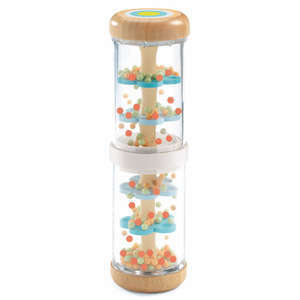 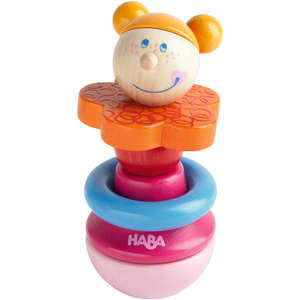 When babies shake the rattle the wooden ring makes a noisy click clack sound.